On July 29th, Buck Run teams were sent out as a part of our Serve Frankfort Ministry. 130 adults and children spent their Saturday morning cleaning Avenues for Women, Frankfort’s crisis pregnancy center. Avenues for Women Another team weeded, planted, and mulched flower beds at the Simon House. The Simon House is a nonprofit transitional living facility for homeless adult women who are pregnant or have children. Our church loves these ministries we are grateful for opportunities these to support them in their efforts to care for the people of Frankfort. A Serve Frankfort team also went to Second Street Elementary where they helped prepare the campus for the impending return of the student body. We are grateful for the staff at Second Street for letting us come and serve and especially for their invest in the education of our city’s children. 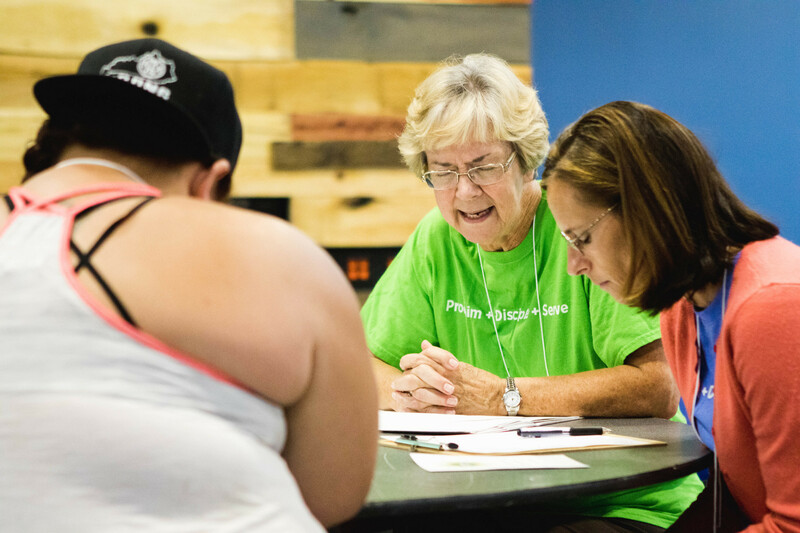 The largest Serve Frankfort team stayed on campus and facilitated an event for the area’s single moms. This annual back to school event, coordinated by our Single Mom’s Ministry, saw 140 kids receive clothes, shoes, and school supplies. Volunteers were able to spend time with each mom to hear their story, proclaim the Good News to them, and pray for them. While this Serve Frankfort workday has come and gone, our support for these ministries and people has not. Will you join us in praying specifically for those that were ministered to during Serve Frankfort? Pray for the women in our community that Avenues for Women is seeking to minister to. Pray that they will be connected with this great ministry and that the staff can share the hope that is found in the Gospel with each woman they minister to. Pray that those living at the Simon House will use this time to find a foundation to build their life and family on. Pray that the new director of this ministry will provide the direction that is needed to help this ministry flourish. Pray for the school’s staff as they teach and care for hundreds of students. Pray that Christians in the school will have opportunities to share the message of Christ with their peers and students. Pray that the Gospel seeds that were planted during Serve Frankfort will take root in the lives of each mom. Pray that those serving in the Single Moms ministry will be able to meet the spiritual needs of those they are able to minister to.